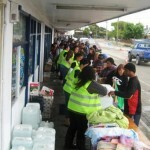 By Rachel Fonotia – Manager Aranui Community Trust. I work for the Aranui Community Trust – I was born in Aranui, and I’m passionate about the work the Trust is doing. 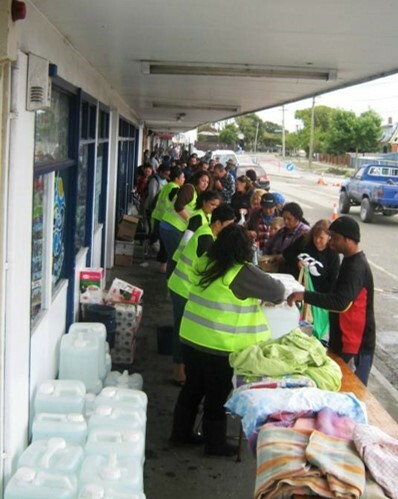 Our vision, “Aranui – a proud community of hope and opportunities where people stand tall – as circumstances demand” is purposefully adaptive so that we can respond to the emerging needs of our people and places. For example the focus after the earthquake in 2011, became to build a better brighter future, after the loss of our houses saw a dramatic decline in our population. We work with communities helping them identify their needs and improve their outcomes. We’re big on improving access to health, as so many of our people are blocking up the Hospital’s Accident and Emergency with chronic conditions because of the barriers to accessing primary care. We work with education providers to improve our community’s educational outcomes as we have the highest numbers of school leavers exiting the education system without qualifications. Although we don’t concentrate on deprivation it is worth noting our community is amongst the most deprived in New Zealand. Just one example: 70% of our community don’t have communications in the house, so we still have a newsletter that is distributed to all those houses. Overcrowding is also major issue and we work tirelessly with housing providers so people can live in appropriate spaces. While we have worked on many initiatives with the various agencies one project stands out as an example of how it can work well – and then not so much. 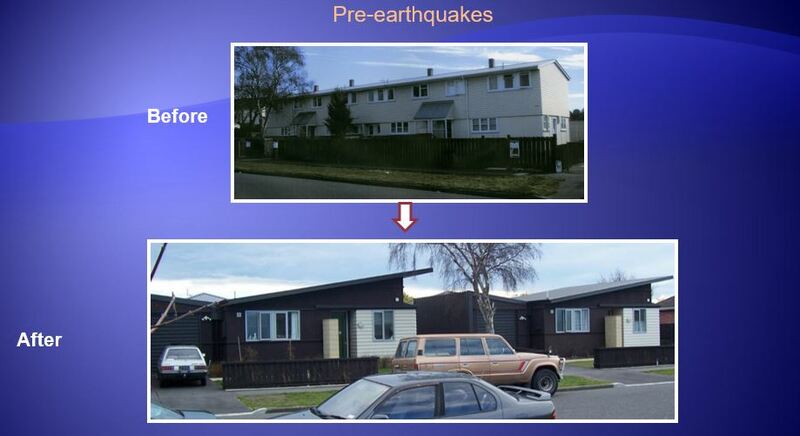 In 2001 we entered a three way memorandum of understanding (MOU) with the Christchurch City Council and Housing New Zealand after the ageing two-storey housing stock was identified as the most unpopular, highest need issue in the community. The MOU set out how the three of us would work with the community to redevelop the spaces. 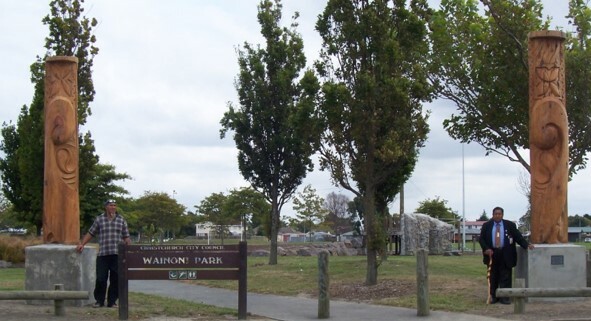 The Council agreed to look at the parks and roading, Housing NZ agreed to upgrade its stock. 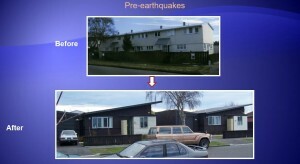 After the consultation Housing NZ agreed to remove the ageing stock. The community explained to them what they wanted, from single storeys to fencing. Eventually together we came up with the new houses. Then we had an earthquake and we lost 130 of the remaining outdated stock. 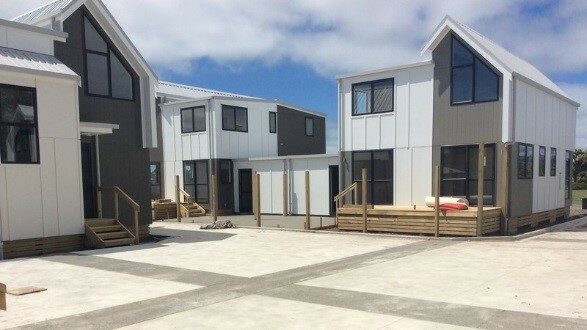 We worked with Housing NZ for 2 ½ years to rework what would replace those properties. They came back with a plan which involved building two storey properties again, having not noted the consultation process that had begun in 2001. In terms of design it does not work for the community. Constantly changing personnel at agency level has been a major challenge. Promises made to keep the community involved and informed are often forgotten. Previous partnering agreements and institutional memory of community housing preferences and plans negotiated with Aranui locals have been ignored – with recently built housing developments representing everything local people said they didn’t want! 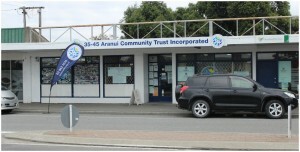 The need for agencies to meaningfully work with local people and community connectors like Aranui Trust – rather than do for or to Aranui remains a work in progress. And there’s a lot going on – around $150 million is currently being invested in Aranui, ensuring local people are kept up to date with what’s planned is key. Nobody can do doing anything on their own, we know that and we’ve been pretty smart at getting people to have the conversations at that table. We meet monthly now with the Christchurch City Council – they’ve become our friends. At different times over the 15 years, we’ve had really interesting debates, we’ve fought at the table but we have managed to come away still genuine in the outcome that we are all trying to achieve together. What would be the point in asking our communities what they wanted and then not help them to achieve it? If we all believe we can make a difference, then we can. Our work is vital for the future of our communities.